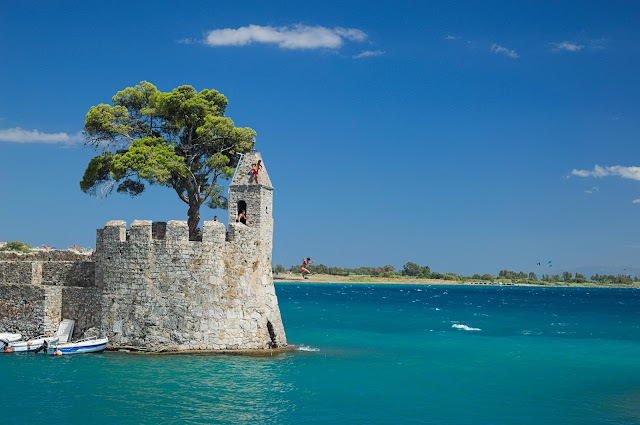 Nafpaktos or Naupactus (Ναύπακτος in Greek) is a small town in Aetolia-Acarnania, West Greece, Greece. 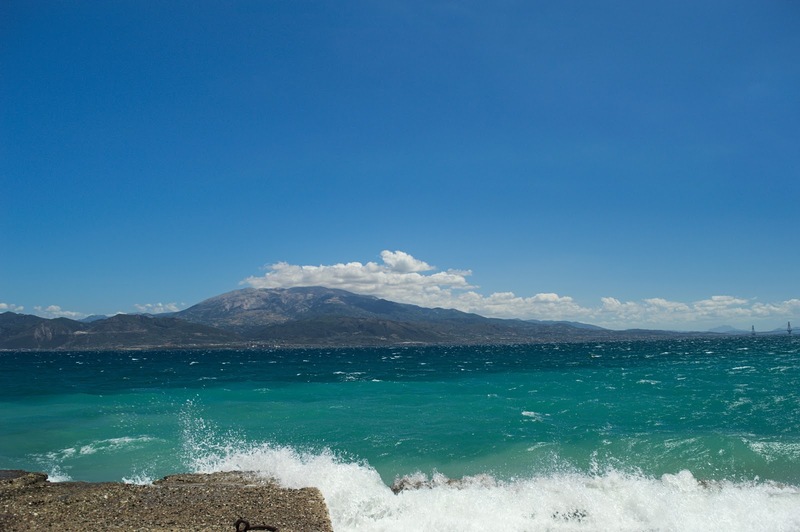 It has around 31000 residents and it is very popular during the summer due to the beaches around. Last month i visited the town for a wedding. I enjoyed the sun and the sea of the area. The water is not so hot as in Cyprus or Rhodes. Even the nights the temperature was perfect and it was easy to sleep. Comming from a steady 32-34*C from Nicosia during the night, the change was perfect! We didn't have time to visit the fortress (there is a nice view of the port and the town), but we managed to walk a bit on the beach and enjoy the sea. 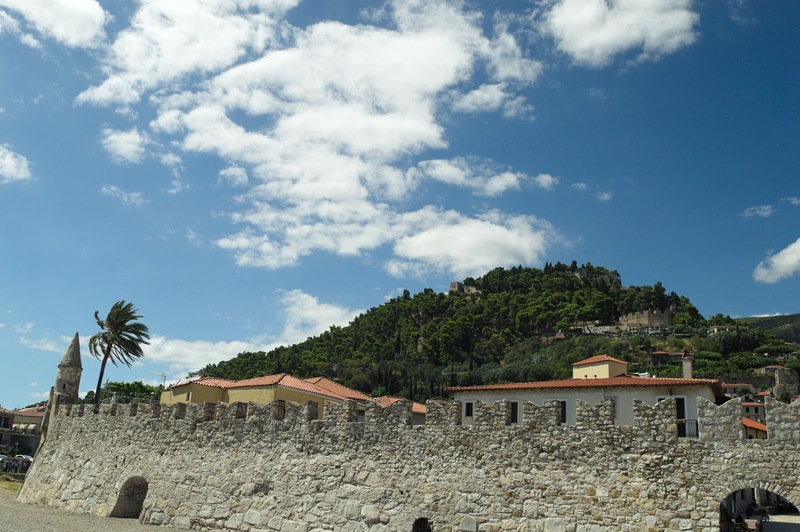 Here you can find some photos taken from Nafpaktos. The entrance of the port with teenagers falling from the stone wall, in Nafpaktos, Greece. The stone wall of the port and the fortress on the hill behind in Nafpaktos, Greece. 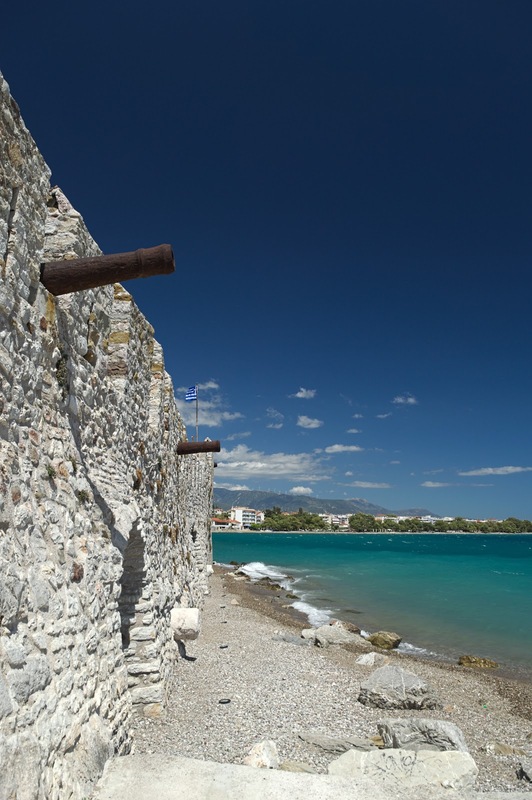 The stone wall of the port with the cannons in Nafpaktos, Greece. At the entry of the port in Nafpaktos, Greece. 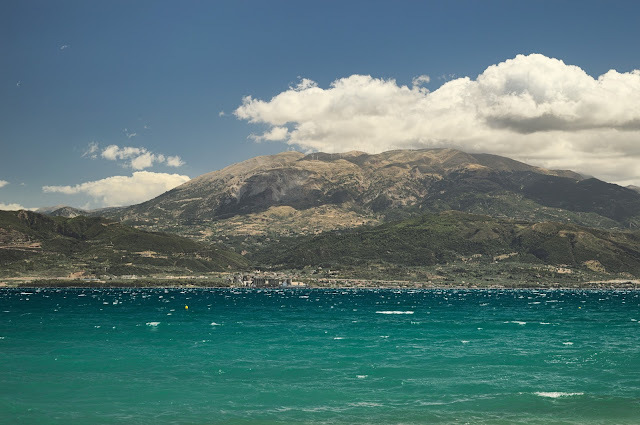 View of the Peloponnese from Nafpaktos, Greece. Notice the small waves, it was a bit windy when we visited Nafpaktos. 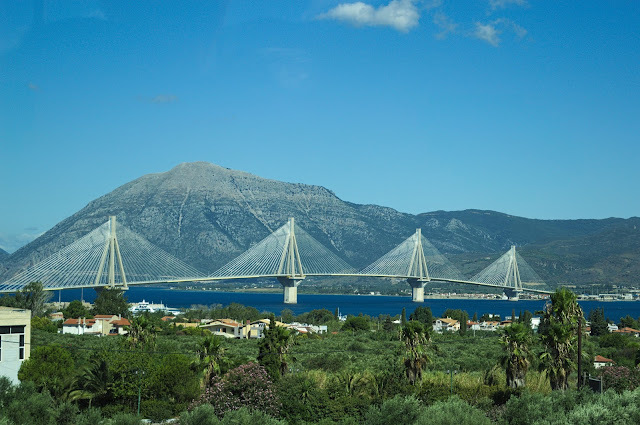 Rio–Antirrio bridge view from Peloponnese.